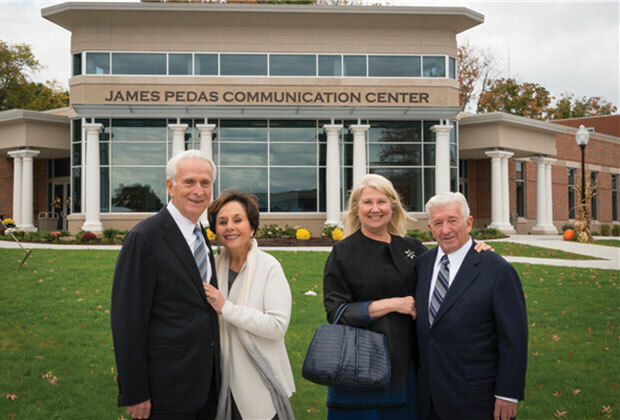 The Coordinated Effort of Hellenes congratulated one of the Greek-American community’s most generous members, Jim Pedas, on the recent inauguration of the James Pedas Communication Center at his alma mater, Thiel College in Greenwood, Pennsylvania. 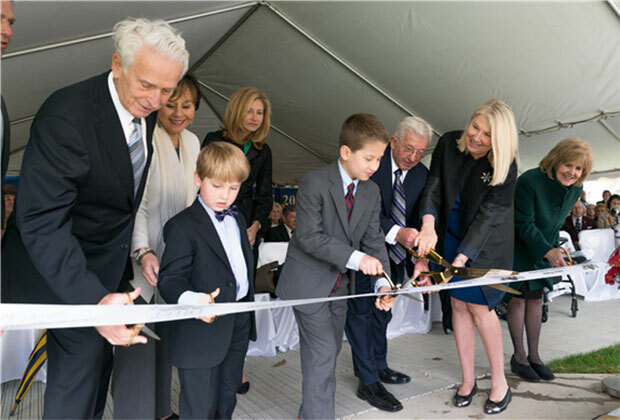 This state-of-the-art communications center will teach students in sophisticated labs and studios, dynamic classrooms and learning spaces about film, TV, radio, news production and other multimedia-rich experiences. It is a “green” certified $6.5 million building. Jim Pedas’ pretension-less personality belies his extraordinary success as a movie mogul familiar with film celebrities, entertainment personalities as well as leading American and Greek government officials. 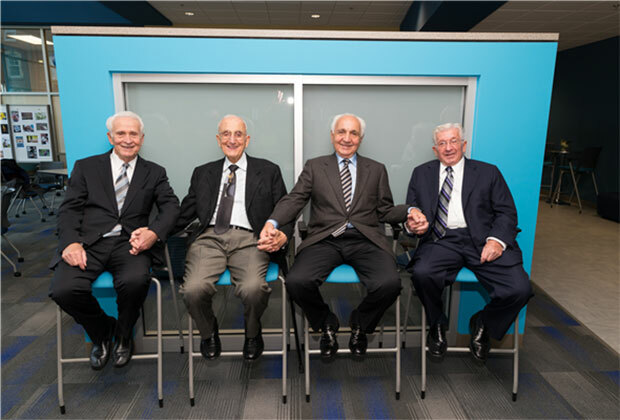 Jim and his brother Ted, also member of the Leadership 100, have made many such philanthropic contributions in addition to producing films that have won numerous awards including the Cannes Film Festival Golden Palm. In 2012 Ted Pedas received one of the highest distinctions in the film industry – the National Association of Theater Owners Marquee Award. In addition to their many other accomplishments, they gave two of America’s most successful directors, the Cohen brothers, as well as internationally renowned crime writer George Pelecanos, their starts. 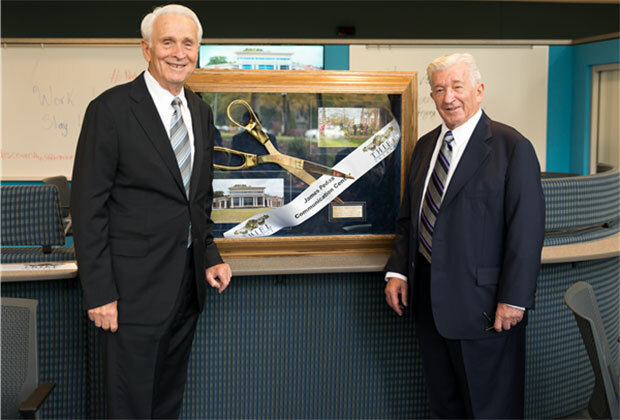 Dr. James “Jim” Pedas ’50 H’89 (right) and his brother Ted, have a long history in the entertainment industry. In the 1950s, he and Ted established Colt 45 Records, a recording company that launched the musical career of Don Covay (who wrote “Chain of Fools” and “Mercy Mercy” among others). The Pedas brothers later partnered to acquire several drive-in movie theatres. Later, with another partner, they bought a film distribution franchise and never looked back. They have been involved in numerous film ventures over the years including owning the Circuit/Showcase theatre circuit; owning a small part of Cinema 5 Ltd.; forming their own distribution company, Circle Releasing Corp., and forming their own production company, Circle Films, which was one of the foremost backers of 1990s American independent cinema. 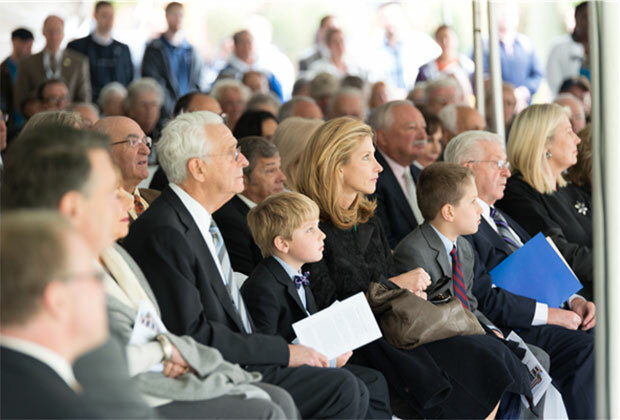 They also formed Circle Management Company to oversee their investments in real estate and commercial development and Circle Parking to operate parking facilities in the Washington, D.C. area. 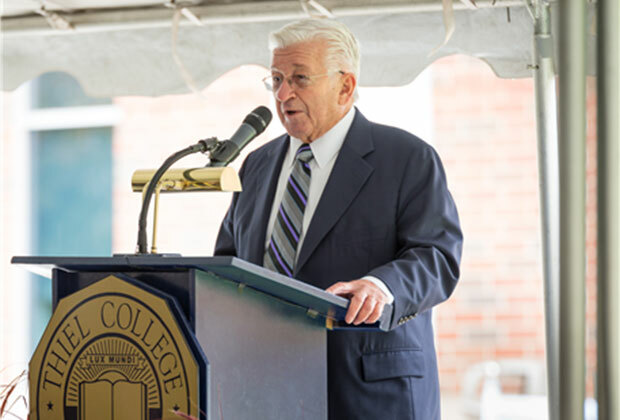 The Farrell, Pa., native earned a Bachelor of Science in economics from Thiel College and received the Distinguished Alumnus Award for Professional Accomplishment in 1980. 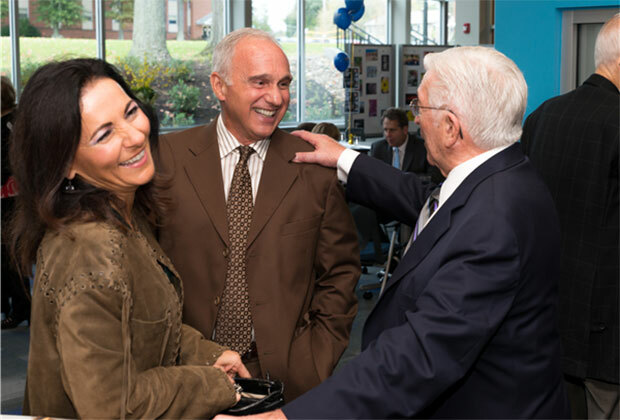 He was awarded an honorary doctorate from Thiel and was named trustee emeritus to the Board of Trustees. 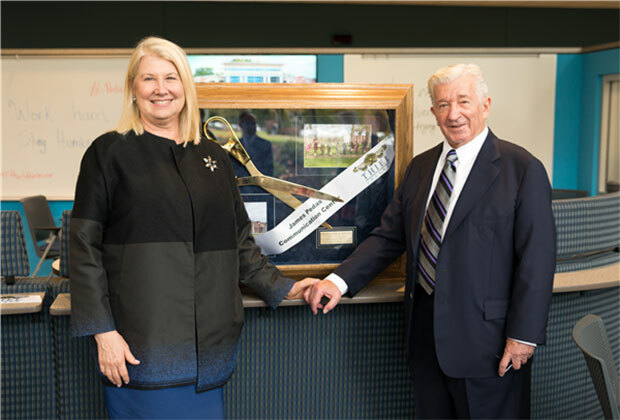 He is a supporter of many philanthropic endeavors, including establishing an Intellectual Property Chair at George Washington Law School and he has served as a director of the National Capital Bank of Washington since 1973.